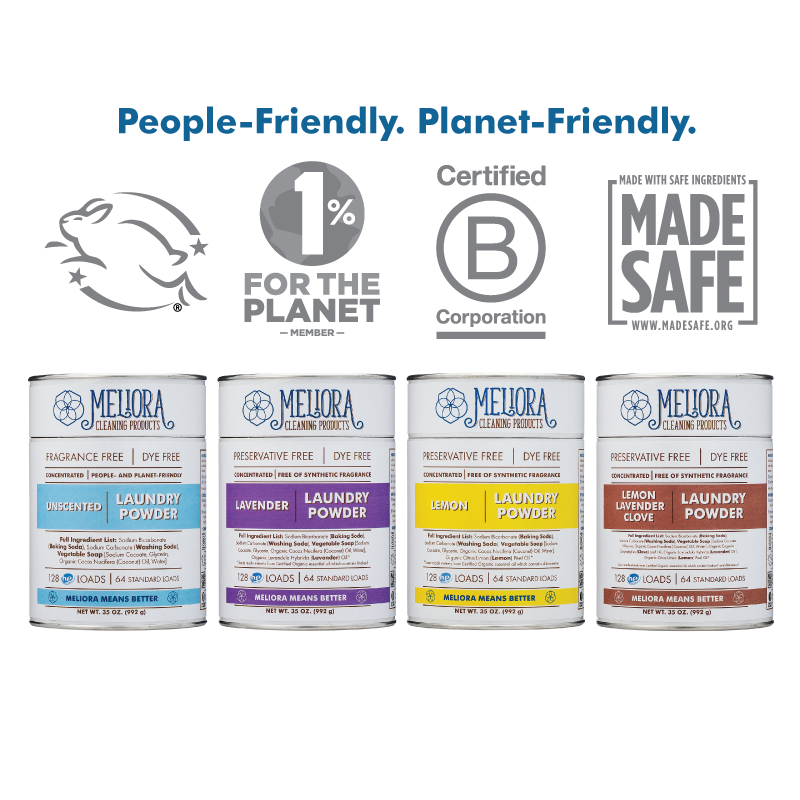 Target Up & Up Sensitive Skin Baby Wipes no longer contain a formaldehyde-releasing preservative called 2-bromo-2-nitropropane-1,3-diol, which may cause painful contact allergies in some people, and especially babies. Shortly after I wrote an original review, the Target Up & Up Sensitive Skin Baby Wipes were reformulated. These baby wipes now contain Phenoxyethanol and Sodium Benzoate as preservatives instead of 2-Bromo-2-Nitropropane-1,3-Diol and Iodopropynyl Butylcarbamate. There is also one more change that you want to know about. Water, Propylene Glycol, PEG-75 Lanolin, Chamomilla Recutita (Matricaria) Flower (Chamomile) Extract, Disodium Cocoamphodiacetate, Polysorbate 20, Citric Acid, Disodium Phosphate, Disodium EDTA, 2-Bromo-2-Nitropropane-1,3-Diol, Iodopropynyl Butylcarbamate. The ingredients are no longer disclosed on the website, so I had to get ingredients off the packaging. Note that there are other formulations of Target baby wipes such as Target Up & Up Fragrance-Free Baby Wipes and Target Up & Up Fresh Scent that you can find rated in the 2019 Baby Wipes Rating List. Here is the picture of the packaging. All baby wipes must contain preservatives because they all contain water. Water is a breeding ground for harmful bacteria and mold to grow, especially when you open a package and introduce air and new bacteria. The reason I talk about preservatives a lot is that preservatives are often a source of concern. 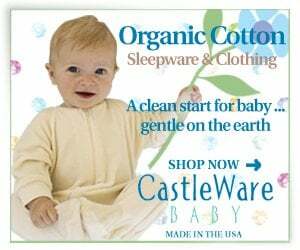 In an ideal world, you probably want to use products made without water and, thus, without preservatives especially when it comes to babies. But wipes are, by definition, wet, and so we are always going to need some form of a preservative in them. I have also discovered that there is a correlation between preservatives used in a product and the overall safety of the product. It means that you can become a master ingredient reader if you learn how to spot preservatives. To make your life much easier, please visit here. When I first started blogging, which was 6 years ago, one of my first posts was about Costco’s brand of baby wipes called Kirkland Signature Baby Wipes. Back then, Costco baby wipes contained a formaldehyde-releasing preservative and Costco was not alone using these potentially harmful formaldehyde-releasing preservatives. Since I started reviewing all major baby wipes every year and publishing my findings in the Baby Wipes Rating List, I have noticed that a lot of baby wipes have been reformulated to remove formaldehyde-releasing preservatives. In fact, in my 2018 Baby Wipes Rating List, Target Up & Up Sensitive Skin Baby Wipes were the only ones that had a formaldehyde releaser. 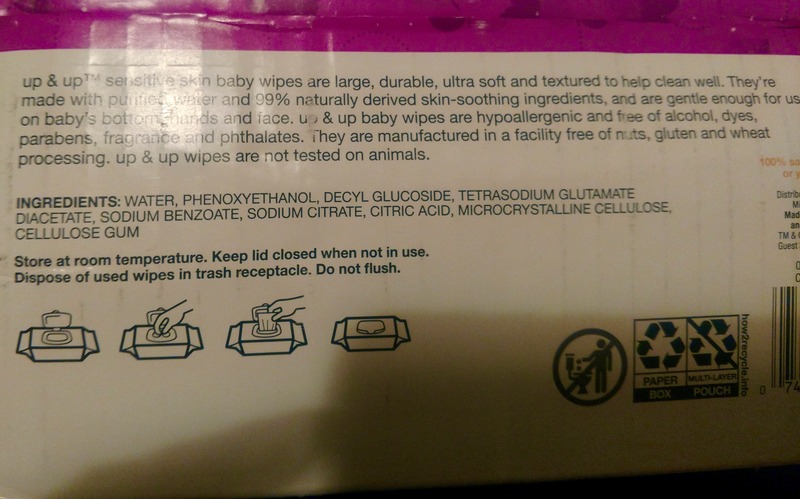 Now, in the 2019 Baby Wipes Rating List, there are no baby wipes that contain formaldehyde-releasing preservatives! Congratulations! You did it! That’s why I whole-heartedly believe that we consumers have enormous power. That’s why I write my blog, publish e-books, provide consultations, and teach online courses. To educate consumers. To pass the knowledge I have been able to accumulate using my financial analyst’s background and making this mission into a full-time occupation. We vote with our dollars. Are the substitutes any better? Unfortunately, sometimes companies replace notorious ingredients with something else that is not any safer, just less notorious. For example, when plastic products or canned food claim to be free of BPA, they may have BPS instead, and it turns out BPS is no safer than BPA. Thus, we should always ask what they use instead. 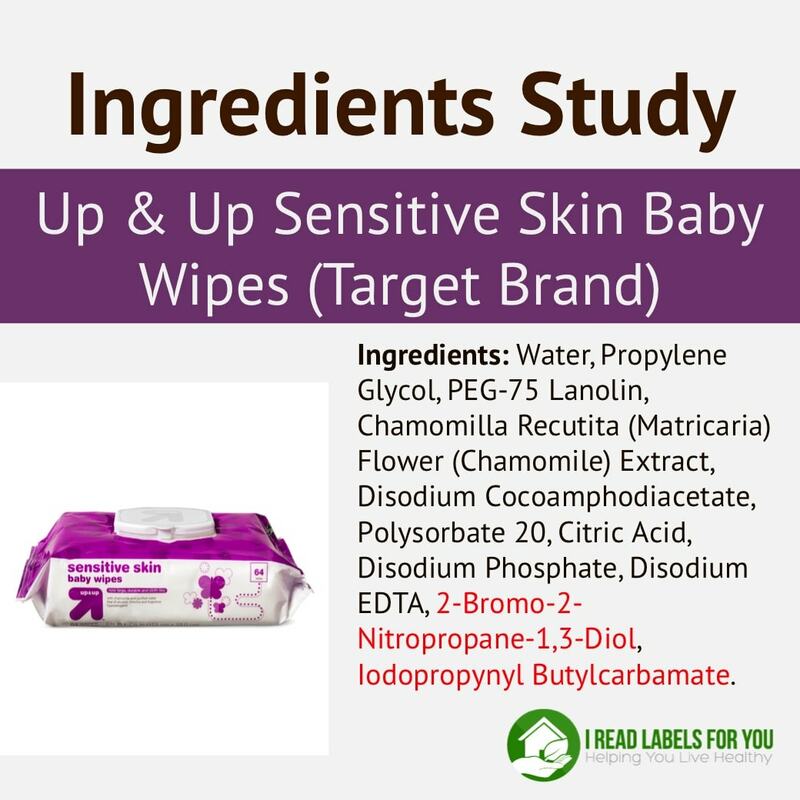 The former preservatives in Target Up & Up Sensitive Skin Baby Wipes, 2-bromo-2-nitropropane-1,3-diol and iodopropynyl butylcarbamate, are rated quite poorly in the Skin Deep database by the Environmental Working Group, a consumer advocacy group. 2-Bromo-2-Nitropropane-1,3-Diol is rated 7-9 (depending on use) out of 10 (10 being most toxic) in the Skin Deep database. Iodopropynyl butylcarbamate is rated 4-6 (depending on use) out of 10 (10 being most toxic) in the Skin Deep database. 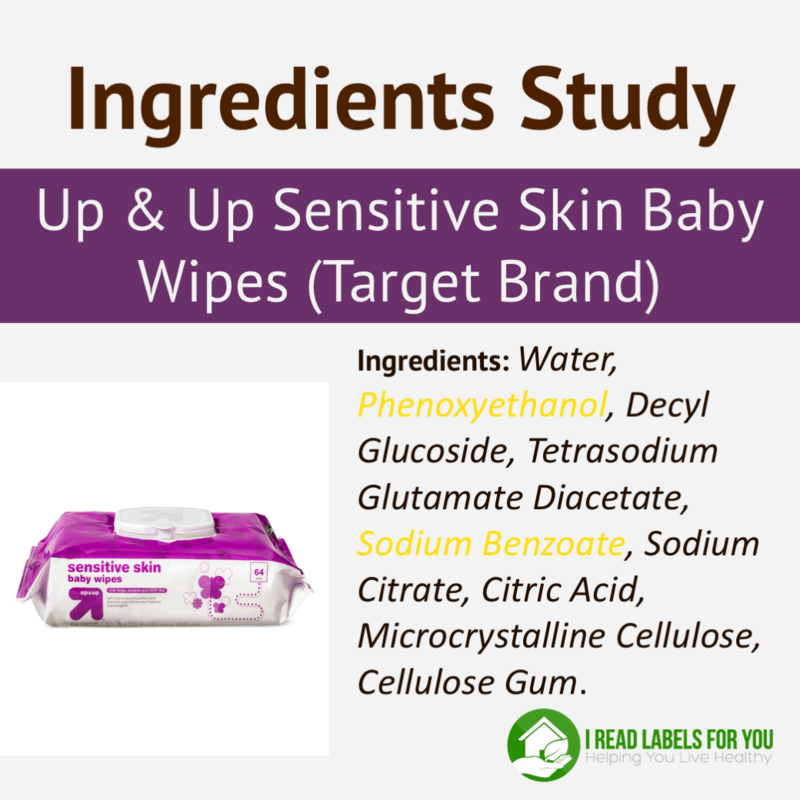 There are two preservatives used instead of the previous ones in Target Up & Up Sensitive Skin Baby Wipes – phenoxyethanol and sodium benzoate. Phenoxyethanol is rated 4 in the Skin Deep database. It is important and good that it is NOT linked to cancer or endocrine disruption. 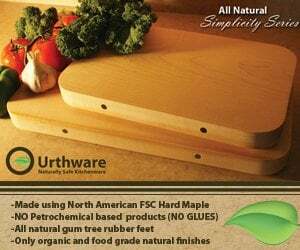 However, it is made by reaction of highly corrosive phenol with carcinogenic ethylene oxide. As a result, it may contain residue amounts of both. The American Society of Contact Dermatitis lists phenoxyethanol as an allergen, even in concentrations as low as 1%. While it is an improvement in this case, it is not ideal. 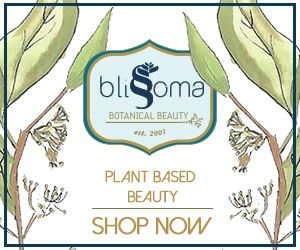 I draw a line at phenoxyethanol and do not normally recommend products with phenoxyethanol on my website. The other preservative, sodium benzoate, is rated 3 in the Skin Deep database. It is a very common preservative in baby wipes and in so-called ‘green’, ‘natural’ and ‘organic’ skincare products. Please know that it may also cause an allergic reaction in some people if used in concentrations over 5% (source). I believe the Target Up & Up Sensitive Skin Baby Wipes have less than 5% because they say on their website that the wipes are 99% water. When it comes to grown-ups, I believe sodium benzoate is one of the safer preservatives, and I use products with it. The other good change in the Target Up & Up Sensitive Skin Baby Wipes is that the ethoxylated ingredients, PEG-75 Lanolin and Polysorbate 20, are gone. In my opinion, the new formulation of Target Up & Up Sensitive Skin Baby Wipes is safer. Please remember that our consumer power matters and use it. Make informed decisions based on ingredients, not on advertisements. There are two things you can do right now to get you started. Join our community of savvy label readers here. And if you want to save time and money, please access Baby Wipes Rating List. Please know that you are funding the movement for safer consumer products. It looks like Target had changed their ingredients for these wipes. Could you do an update, please? Thank you, Ruthanne! You’re right, you can’t attach a picture yet. 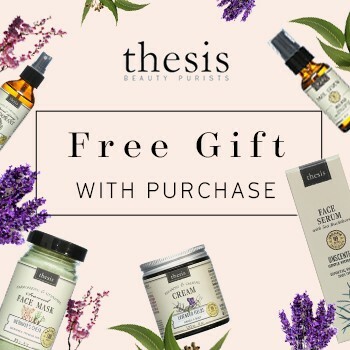 If you can email via the contact page and after I respond to you, you will have my email address: https://ireadlabelsforyou.com/contact-me/ Thank you so much!